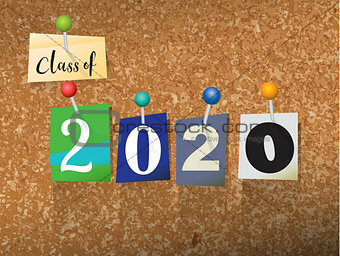 Image Description: The words "CLASS OF 2020" written in cut ransom note style paper letters and pinned to a cork bulletin board. Vector EPS 10 illustration available. XXL 34.7 x 26.0 cm 13.6 x 10.3"
XXXL 44.7 x 33.6 cm 17.6 x 13.2"